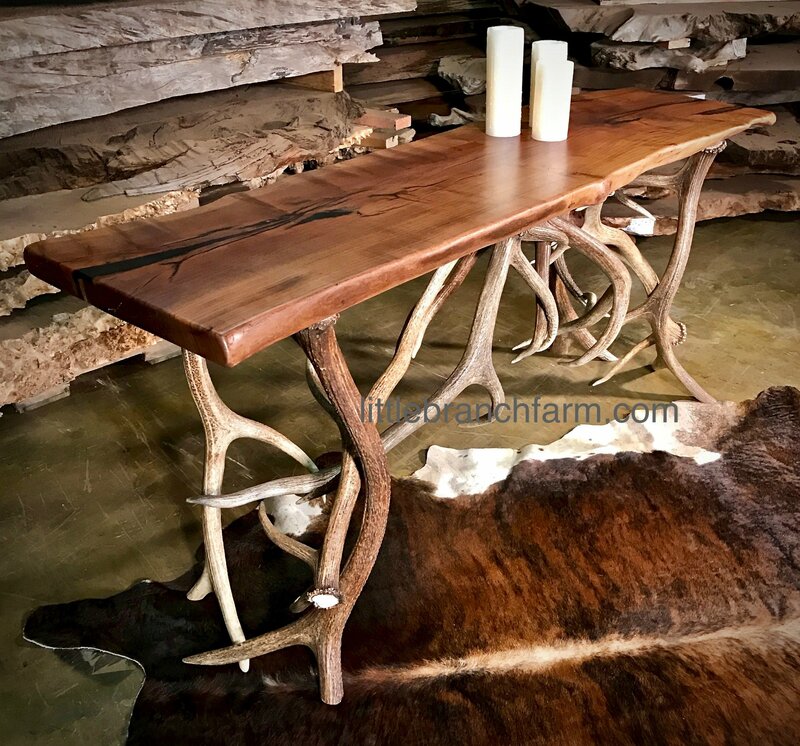 Antler wood slab table is crafted from real antler sheds. 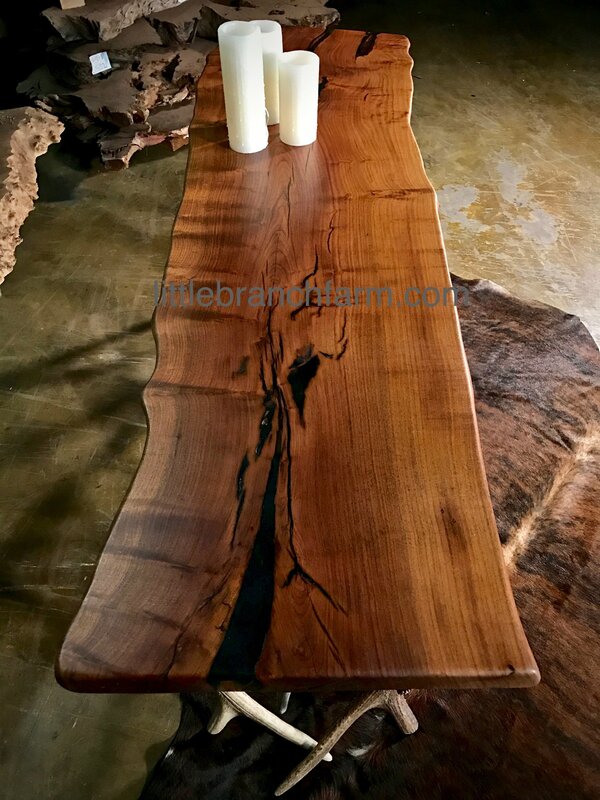 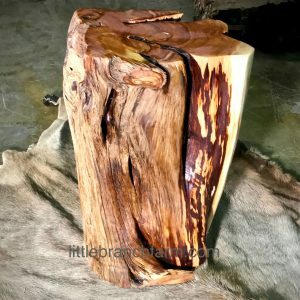 The wood slab is a live edge mesquite wood. 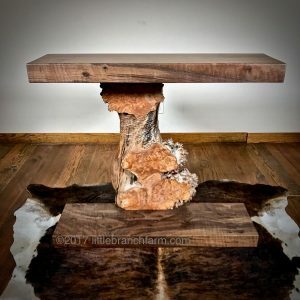 We also offer this style live edge table in other wood species such as redwood burl, maple burl. 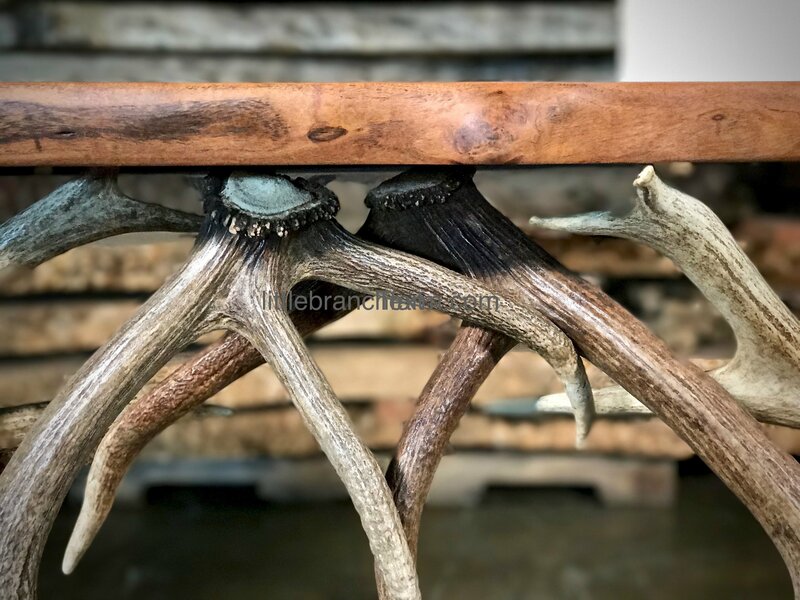 Also, we offer different antler options such as moose, elk, fallow, and others. 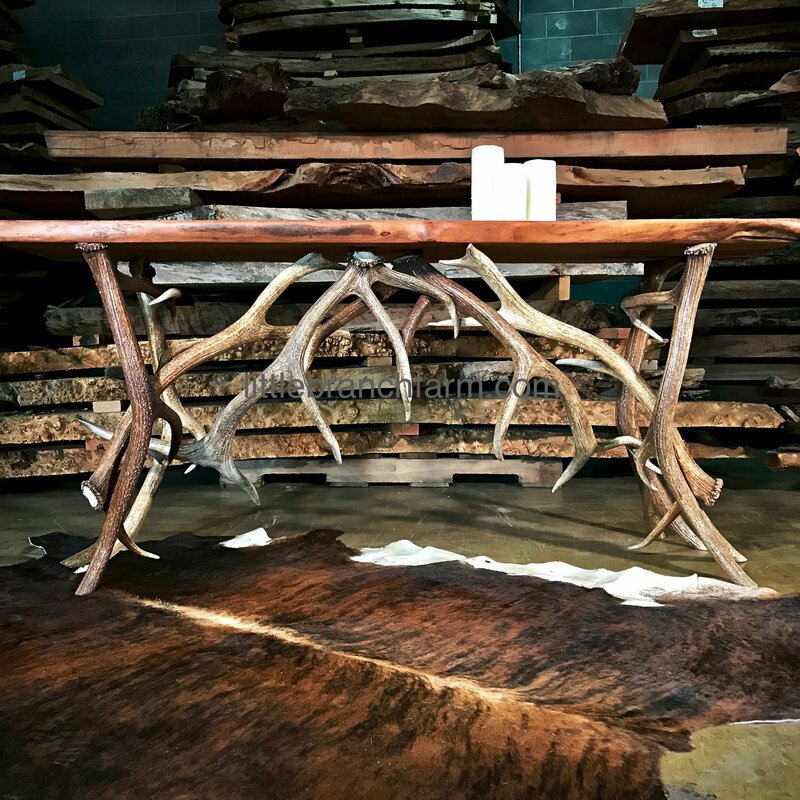 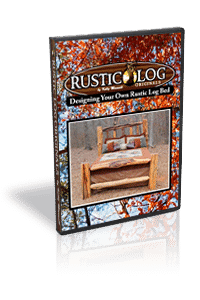 Because we specialize in custom rustic furniture no two pieces are the same. 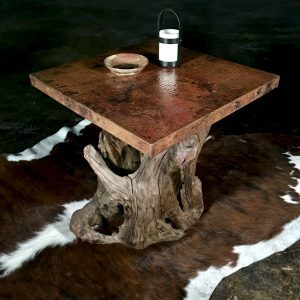 Thus this rustic table cannot be replicated but a similar style can be custom built to your size needs. 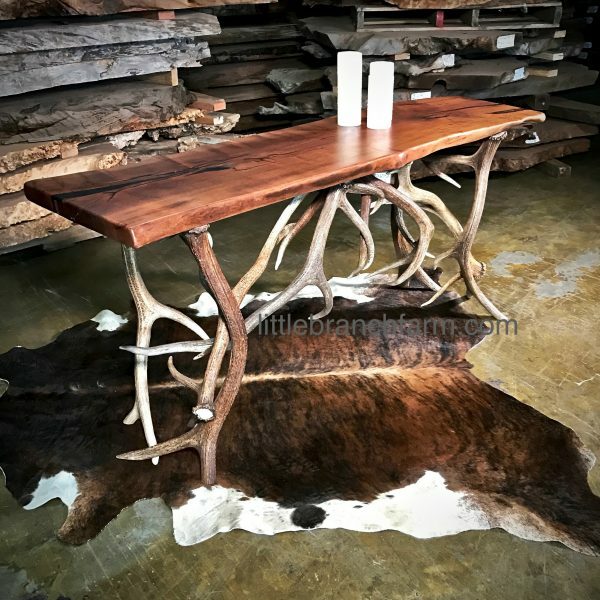 As always we look forward to working with you on any of your custom natural wood furniture needs.